Welcome to part 4 of our pick of the early emerging trends in fashion clothes and accessories for 2010 that should look fantastic with tummy tuck jeans. Just as in the rest of the guide, we take a light hearted look at some of the trends that seem to spring out as the more wearable catwalk creations. We present our favourite new looks and the designers behind them, some shopping ideas, and of course, why and how it will work if you use your NYDJ as a wardrobe staple with each trend. You can get inspiration to revitalise your wardrobe and stay at the forefront of fashion in the time it takes to slurp your skinny latte or polish off a luxurious whipped cream hot chocolate. Fringing is back in – it was around last season, but is reportedly more ‘cowgirl’ style than before, meaning, well, thicker, we guess. Right, obviously not featuring on the jeans themselves, but we figure perfect for working in on accessories. 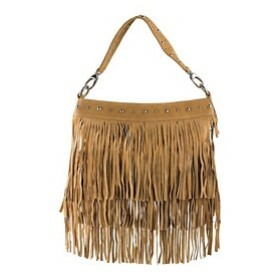 Fringing looks great on handbags and you could easily go for a vintage bag on this one for extra style points. Vogue highlighted designers including Fendi and Ralph Lauren featuring vintage looks for this year on the catwalks. A quick roundup of larger thrift stores was fruitful for us. In the UK try Oxfam online – within 1 page of searching for ‘red handbags’, we found a funky fringed number straight away. Oxfam also operates in Ireland. For USA residents, there is the Goodwill Industries International chain of thrift stores. Canada has The Salvation Army thrift chain; and for both places, we loved this thoughtful little blogger’s list at Goddess Gift Gathering. Australia has Savers, recycling clothing back to the public and helping charity, and New Zealand also has many Salvation Army “family” stores. France has just opened its first charity store, in of course, incredible style at Merci in Paris; Germany has Oxfam and interestingly enough, along with the Netherlands, ‘give away’ shops where items are free as community action. If you’re worried about shopping in thrift stores, be assured that here in London, UK, it is practically an essential sport for any budding fashionista, with Time Out listings magazine devoting an entire page to the best stores for fashion finds… Enough on the joys of vintage though, lets move onto another fashion trend you can easily do with your NYDJ jeans – wearable heels are back. Last year seemed to be all about teetering, even platform soled very very high heels. This look does look great with jeans, especially those skinny jeans styles we suggested you try a NYDJ slim leg cut for. But, they’re not kind on the feet, as Victoria Beckham’s now famous tootsies probably testify – poor Victoria’s feet have been endlessly photographed sporting painful looking bunions, which the ever-sniping trashy media publications have been quick to point out must be associated with her well known love of higher heels. Victoria’s foot problems are nobody’s business but back to heels, high heels can be fun, but they are simply not a great idea for constant wear. This season, Vogue noted designers including Marc Jacobs, Calvin Klein, Missoni, Marc Jacobs, and Louis Vuitton moved into much lower heels. Which will probably mean they take off in the stores, whereas shoe shopping last summer in London really felt like there should have been a floor to ceiling pole installed in many high street outlets. The high heels hadn’t deserted the fashion shows though, the towering stiletto-platform sole combos were still there, but this look just marks a nice new foot and back friendlier departure. Mid-height heels are still great for a visual effect of artificially elongating the legs, but a little kinder on the body. 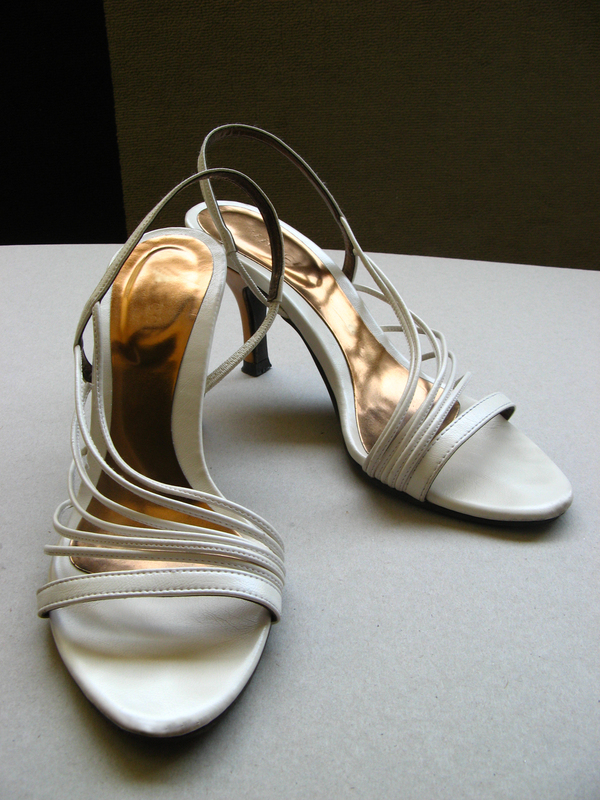 Although some would argue no height of heel is good for the back, which is tough for those of us who just plain dig them. Onto the next interesting development to consider – the nautical look. This one is being touted in many fashion publications as one of the essential looks of this year – but it does seem to involve an awful lot of vertical stripes on those tops. We think this isn’t always a kind look for rounder women – if the designers cut it for a size tiny, the stripes can simply ‘map’ the curves and so you do need to be comfortable with your shape to feel good in it. And if you do, it’s a super, bright, fresh look that looks great with darker jeans or those retro white NYDJ styles lurking on EBay these days. Another way to get there is turquoise. Turquoise was tipped by Pantone as a great colour for spring 2010, so you can work this in with your tops to give a nod to the trend. You can of course, take nautical stripes onto accessories of course, and on-trend clogs can be another way to work it in, and this brings on onto another important and welcome trend. 1970s styling has crept into some designers collections – it’s not the brash, full on affairs of sequins, kaftans or hot pants, more a much muted allusion and it actually looks both women and mother/grandmother friendly. One UK newspaper even described a Stella McCartney runway look as a school-run-mom style. 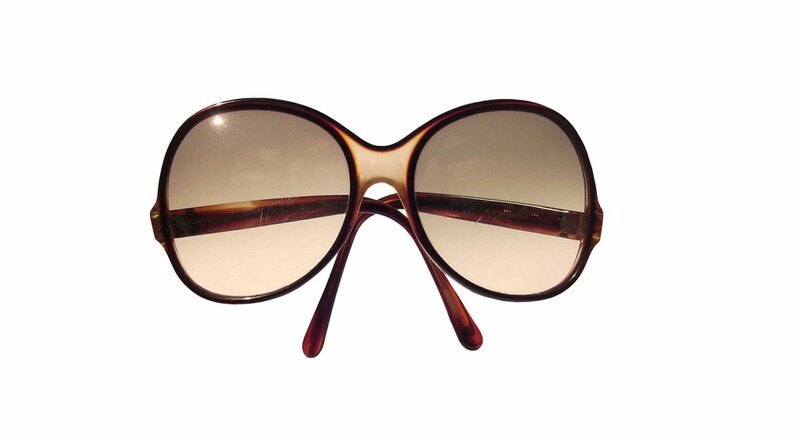 This takes us back to vintage – you could of course easily pick up affordable authentic 70s styling in vintage and thrift stores. The key seems to be accents rather than a full blown 70s explosion, muted shades, those lighter shades of denim we discussed in our previous entries on the distressed denim look for this season, and touches of beige in the bags and clogs are in evidence. It’s a comfortable yet very stylish fashion look that is going to work beautifully with your jeans and works perfectly for those women who are in real life, doing that school run. It does seem to have incorporated elements of another key trend, the ruffles and frills, models have been spotted sorting ruffled tops over lighter denims. In our round of fringing, vintage styling, lower heels, the nautical look and the 1970s influence we hope we’ve given you some fun, wearable and creative translations from the runways to your wardrobe at home. All of it can so easily be worn absolutely on trend with your tummy tuck jeans, meaning you can work the new looks on a variety of budgets, from higher spending to wearing what you’ve got and picking up those fashionsta bargains in thrift stores. Never think that wearing jeans means yo have to look ‘boring’ or ‘baggy’, the styles are out there to make it all look elegant and stylish. Check back in with us soon for our next installment of Early Fashion Trends 2010 Should Work With Tummy Tuck Jeans.